Not the prettiest photo but this is what I found from my older brother’s Facebook albums. They visited the royal BC Museum sometime ago and stayed at one of Victoria hotels in the area, I forgot to ask which. We’ve been contemplating on a Canada trip since the birth of my nephew. As I mentioned often, our vacation can only either be in July or August. A very short vacation of two weeks is possible in December and week in February and another week in January. 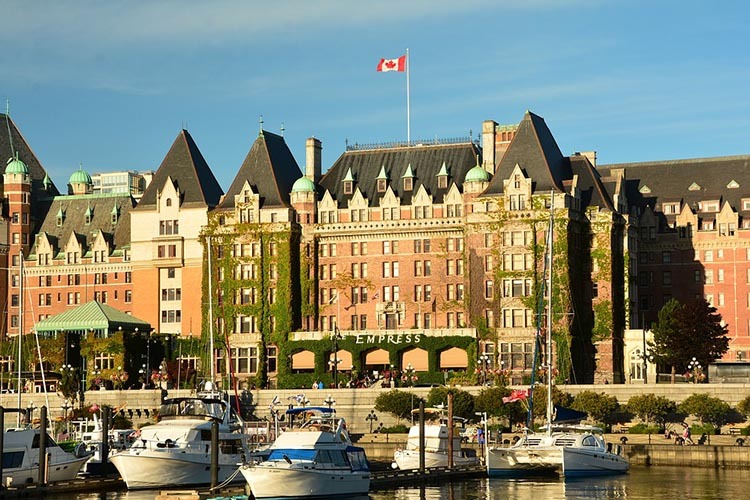 We’ve been scouting hotels and the Best Western Plus Inner Harbour offers the best location, situated right at the Inner Harbour/downtown Victoria and a few steps away from major attractions, restaurants, shops, and oceanside paths. They also offer complimentary extended continental breakfast which the kids will truly enjoy. Our list of places to visit in Victoria include Parliament Buildings, Undersea Gardens,Craigdarroch Castle, Government House and the Victoria Art Gallery. There’s also the Empress Tea Room, Miniature World, the Bug Zoo, Horse-drawn carriage tours. And of course the must-see world-famous Butchart Gardens! I can’t wait to see all these and other notable spots in Vancouver and Winnipeg too.